Both my reading and my TV viewing this week have been all about the intricacies of family life. 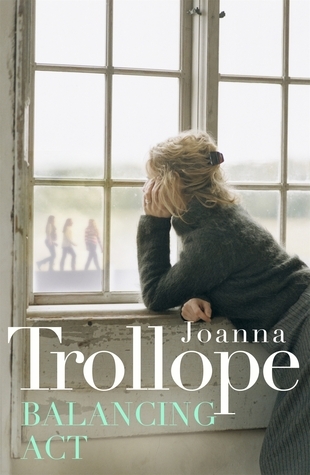 Joanna Trollope’s Balancing Act is a classic “slice of life novel” — classic Joanna Trollope, anyway. I haven’t liked Trollope’s recent novels as much as her older ones (A Village Affair, for instance), and Balancing Act didn’t break that pattern: it felt a bit thin and perfunctory to me, as if she’d come up with the scenario and populated it with characters, but didn’t have much at stake in what happened to them. She’s adept at filling in the outlines of her characters, and I appreciate her attention to the personal significance of minutiae. But underlying Balancing Act are some pretty fraught questions about work and family (or work vs. family, as the novel’s title suggests), about work and identity — or work as a source of identity — as well as about creativity, autonomy, and emotional control. I suppose you could call her treatment of these themes “suggestive”: she doesn’t like a lot of exposition, preferring to step nimbly from one character’s point of view to another’s and let their individual experiences hint at the depths she’s not exploring on our behalf. The result is an easy read and one that highlights Trollope’s strengths — emotional finesse, clever orchestration of time and action — but also one that suggests the limits of her particular formula. 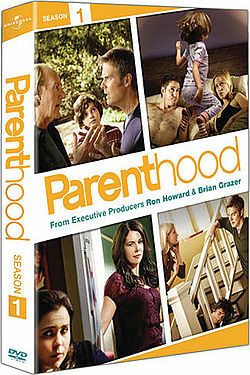 One thing that I find different about Parenthood, compared to much of the TV we’ve binged on over the past year, is that precisely because it is so focused on family life, it provokes personal reflections in a way that most crime shows rarely do (the exception would be Last Tango in Halifax, another intimate family drama). Happily, most of us will never encounter the kind of horrific scenarios that drive each episode of Wallander forward. But we all have families, in one form or another! And parenthood has preoccupied a great deal of my time, energy, and mental resources for 18 years now. As I commented in my last post, I prefer to keep the details mostly to myself, so all I’ll say is that there have already been plenty of moments in Parenthood that resonated with my own experience of both the challenges and the rewards of being a parent — or, for that matter, with being a daughter, and being a wife! Watching Wallander, I might mutter “he shouldn’t be going out there without back-up!” but it doesn’t really mean anything to me personally. Watching Parenthood, it’s hard not to get caught up in debating whether they (any of them!) are making the best choices, or wondering what I would say or do in the same situation — or just to laugh ruefully and say “yup, that’s about right.” So far nothing about the show strikes me as particularly artful or groundbreaking, but that’s fine with me: it’s sincere and well-acted, and while some of the plot twists are kind of silly, others seem to me spot-on examples of why parenting is at once the best and the worst gig imaginable. This may not be the most sophisticated reason to like a TV show, but hey, not everything has to be Deadwood, right?